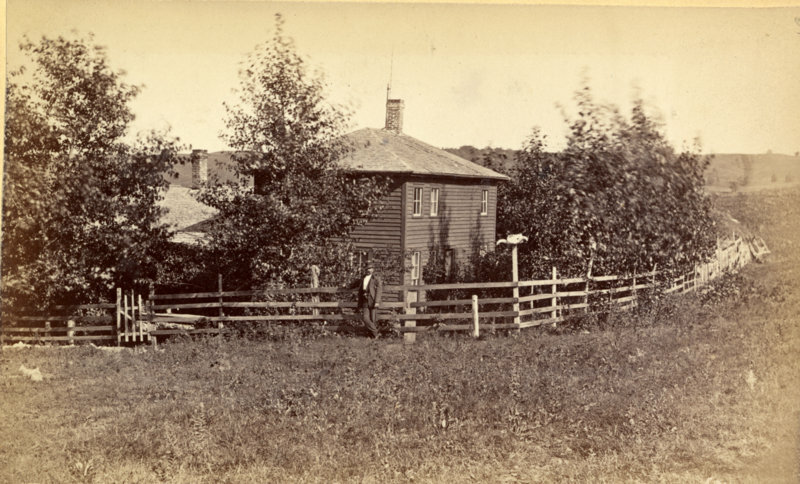 The next photo in the series of Glenwood Photographs taken in 1876 by N.J. Trenham, is the “Rev. A.C. Lathrop Residence”. It stood kitty-corner from where Phil Stumpf’s office is today. The tax records and most of the photograph labels indicate that this is indeed the home of Alfred C. Lathrop, located on the northwest corner of the intersection of 1st Avenue and 1st Street NE. This entry was posted in Local History and tagged A.C. Lathrop, Early Glenwood, Glenwood Minnesota, Pope County History, Trenham Photographs. Bookmark the permalink.